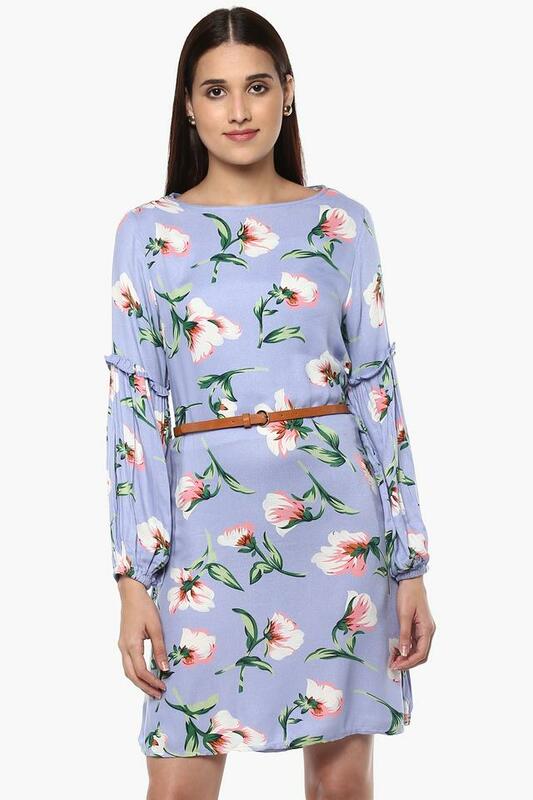 Strut on the streets in comfort wearing this short dress from Van Heusen. It has been tailored with care using a good quality fabric that makes it both comfortable to wear and easy to maintain. 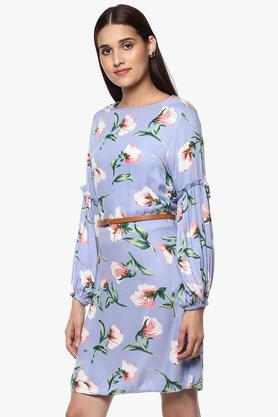 Besides, it comes with a floral print that accentuates its look, while the round neck and bishop sleeves complement its overall style. Add an extra dose of style with this short dress. 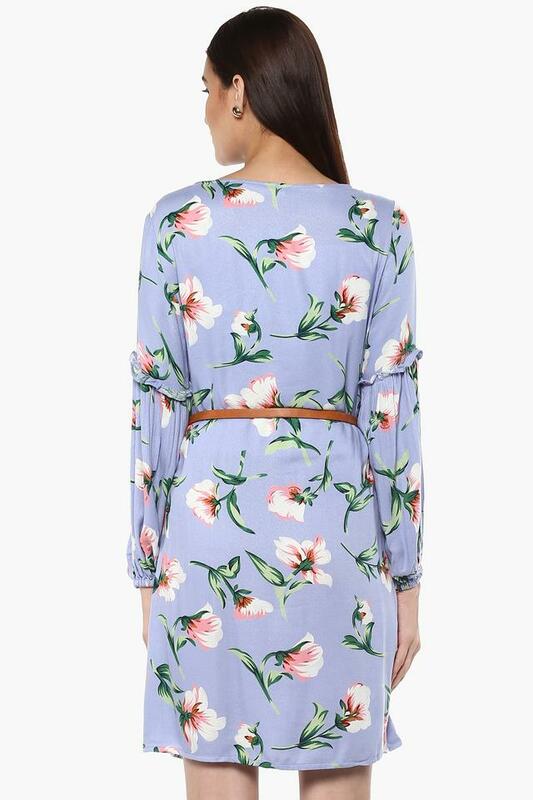 Style this dress with a pair of wedges for a classy modish look.